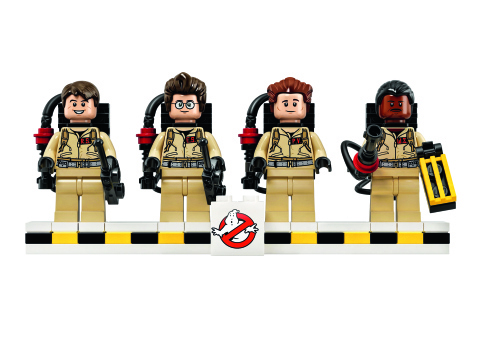 The final design of the official Lego Ghostbusters set has been revealed at the New York Toy Fair. 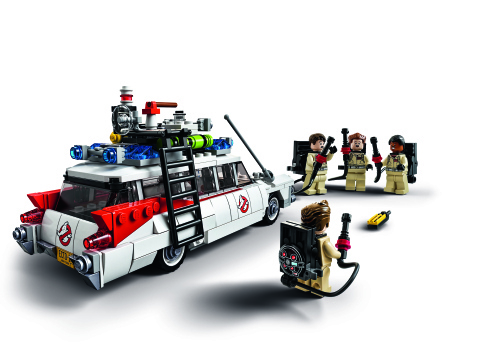 Both Lego and Ghostbusters fans were beyond overjoyed earlier this year, when Lego announced that the next official "Cuusoo" Lego set would be Lego Ghostbusters. However, diehard Lego fans were just a little bit skeptical, considering that the Lego Back to the Future set's official design looked quite a bit different from the fan's original vision. "This fun and iconic vehicle from the blockbusting '80s movie is fully loaded with all the paranormal detection equipment needed to track down those ghastly ghosts. 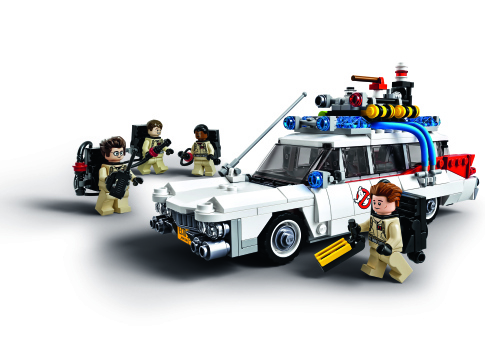 It also features cool Ghostbusters logo decoration, removable roof, tracking computer and seats for 3 minifigures." Lego Ghostbusters was only made possible by close collaboration with fan builder Brent Waller. Here's a picture of him in full Ghostbusters gear. What a guy. Furthermore, Lego announced that yes, it had "skipped a number". It said that Lego Cuusoo set number six, the Exo Suit, "is coming along nicely-however we're not quite ready to share details." What do you guys think of the official design? I think it turned out a lot nicer than the DeLorean, and stayed a lot more true to Waller's original scope. This is one that I will definitely be picking up as soon as it hits stores.